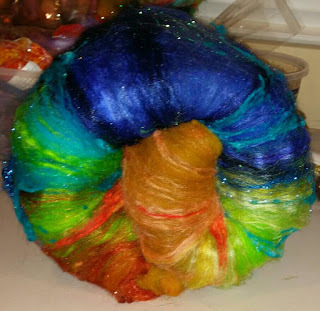 First, before you read this, go to instagram and follow @frostyarn and then go to Etsy and favourite her shop. OK, now that you've done that, let's get into it. I've been drooling over Nic's art batts on instagram forever, so way back when in February, I decided that I needed to grab one for my birthday. I picked out this lovely batt, Peacock inspired, and started spinning it on my birthday eve. 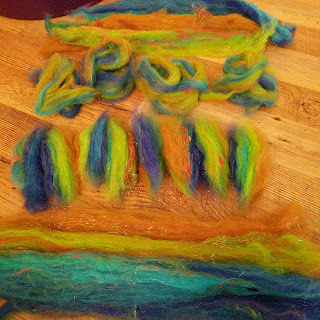 I spun the bad boy, all 5 ounces of it, using a method for spinning batts from the book Yarnitecture, called stacking, as in I stacked sections of each colour to spin them together. I also did way more prep and pre-drafting for this, and let me tell you it paid off. 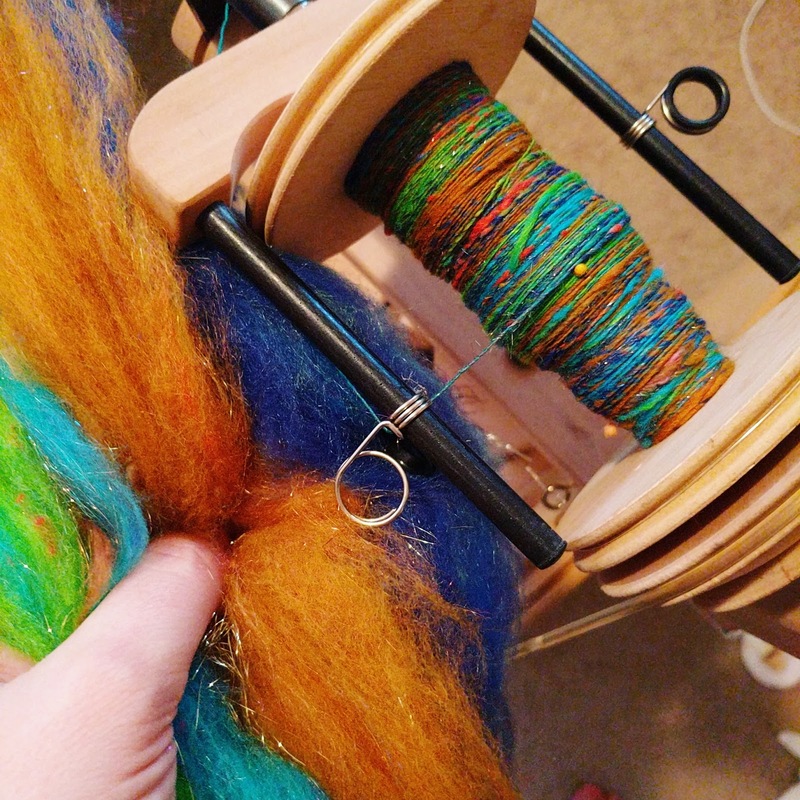 My singles were finer and more consistent than any I had ever spun. 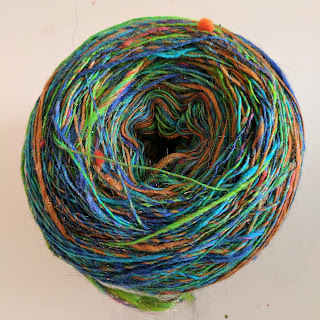 Which means of course I had more yardage than I've ever gotten out of a batt before. 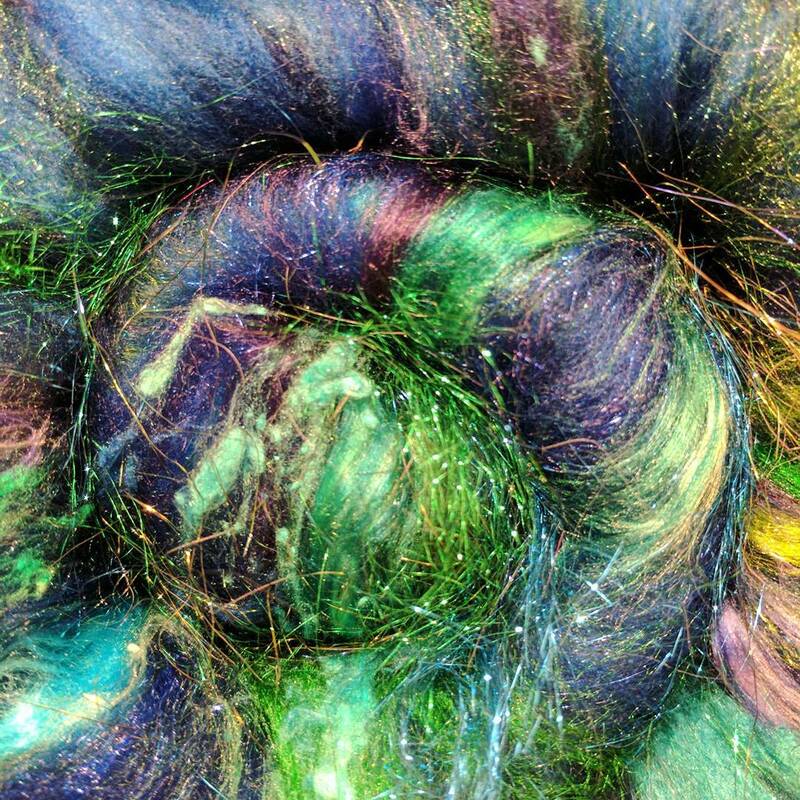 Well maybe not, but as far as I'm concerned it's amazing. 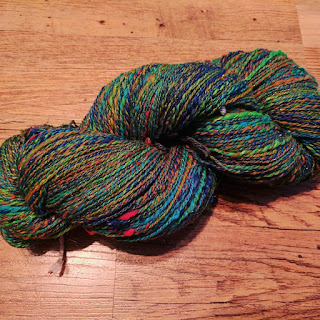 512 meters in 5 ounces of super squishy, super sparkly, merino silk yarn. 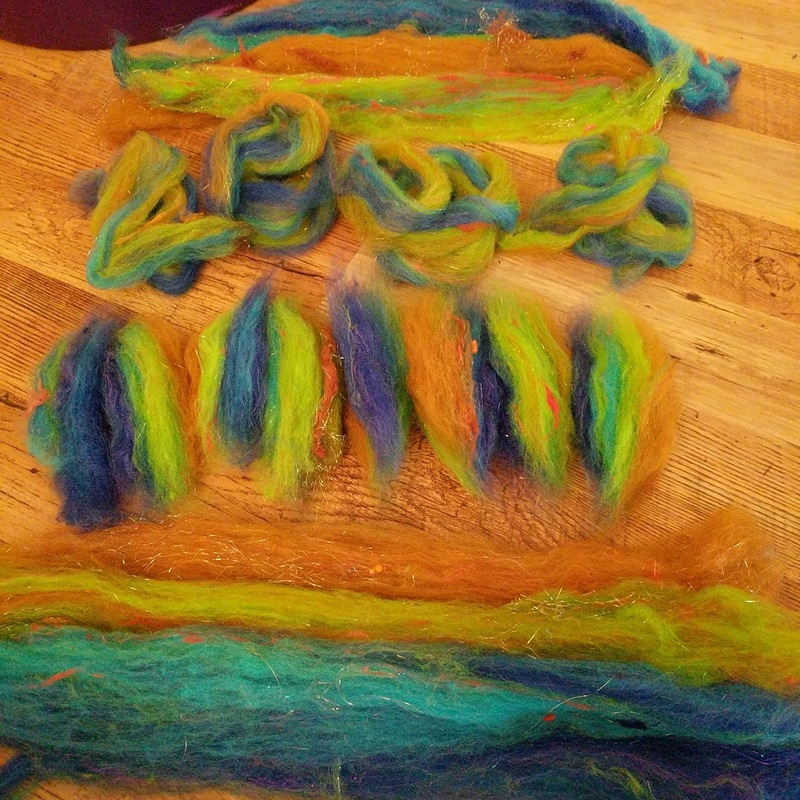 Now I just have to spin the matching batt.